HELLO, IT'S Friday, April 12, 2019 TODAY. Not getting the expected sales from your social media profiles? How many customer reviews you’re getting from each of these channels? Whether you’ve taken it seriously or not, but your customers reviews on social media are word of mouth referrals to help you get more traffic. Just uploading images and text content on social media isn’t going to boost your sales. To tap into the power of social media, you need to focus on getting more customer reviews. Luckily, getting testimonials are not that tough. Apply the tricks discussed below to win the game. Pick Your Platform: If Facebook is driving someone huge traffic, it may not work for you. So, the first thing is finding your cup of tea. For that, dive into Google Analytics. Check the analytics to find out which social network is giving you the most traffic. As for instance, if you’ve B2B business, work on getting LinkedIn reviews. According to Marketing Solutions Blog of LinkedIn, 61million LinkedIn users are senior level influencers. It means that B2B marketers can reach their potential clients through influencer marketing here. Similarly, many other platforms are out there like Twitter, Instagram, and so on. Facebook Review Strategy: Give priority to Facebook reviews. As your users type in your company’s Facebook reviews on Google, they can easily see your rating and number of votes you’ve got. Check out this image to clearly understand how it works. It is this data that will tell the users whether to visit your Facebook page or not. Never ignore your online customer reviews. Have the patience to respond to each of them regularly. Responding to all customer reviews without fail will help you get more. Ultimately, your business will improve by leaps and bounds. And, if possible, thank your customers personally for availing your offerings. LinkedIn Review Strategy: Apart from B2B businesses, LinkedIn reviews are vital for those who want to win employers’ trust. Use LinkedIn’s multiple tools and plugins to promote your LinkedIn page on the website. Unlike other social media channels, increasing your connections here is equal to driving more reviews. So, the more connections you’ve, the more you’re likely to get endorsements (In case of LinkedIn, reviews are called endorsements, especially when it’s B2B). Reorder your recommendations or endorsements. Keep the positive recommendations at the top. It will encourage your clients to fork out more about you. If they find your profile genuine and interesting, they may get inclined to take your service. This, further, boosts your chances of getting social media customer reviews. Ask your coworker (if any) to trade LinkedIn reviews with you. This can benefit both of you. If some of your employees listed under the company page have huge recommendations, choose them for trading customer reviews. Plus, when your clients see reviews on your profile, they may feel the urge to leave one. Yelp Review Strategy: Own a restaurant? Or, in hospitality industry? Make sure you’re using Yelp. If your business has just started to strengthen its online presence, try to get 5 reviews minimum on Yelp at the earliest. When you place a Yelp badge on your website, loyal customers will come to you and give reviews. You can also place Yelp signage in your physical store. ‘People Love Us’ and ‘Find Us on Yelp’ are some of the signage this network has. Moreover, you can also get your website’s rating from it. All these can stir up interest in your customers to write reviews. Shoot emails to ask for reviews. Feel free to write ‘Leave us a review’ in the body of emails. Don’t forget to include link of that social media profile where you want them to give reviews. Promote your existing positive reviews on social media. 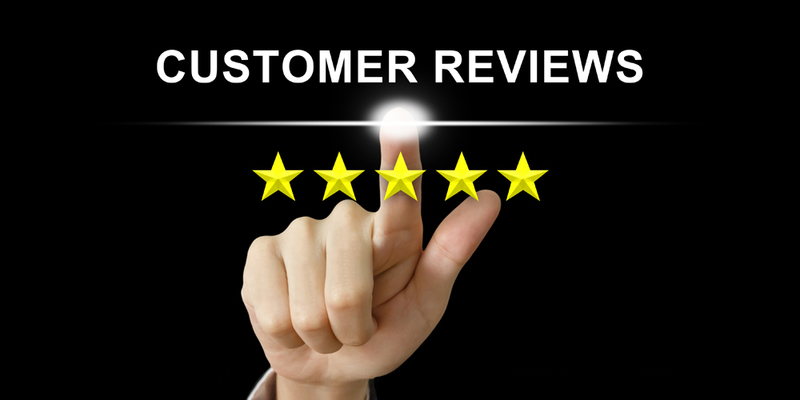 If you promote the customer reviews you already have, the users are more likely to leave reviews. Place CTA buttons in the website. Keep them just beside the customer reviews. Make sure your CTAs are clear and concise so as to make them clickable. Ask your customers for a review at the right time. It’s best to ask them for reviews after 3-5days of their purchase. Thank them before asking. If they’re happy with your product or service, they will surely leave reviews. Never delete negative reviews. It’s because if anyone has already read the negative review but didn’t find it the next time he visits your site may make him lose trust on you. Instead, apologize for the inconvenience caused to that customer and promise him to perform better next time. Getting huge social media customer reviews is time-consuming. But, it will pay you in the long run. Integrate the reviews with your marketing strategy to generate more, making your business successful.